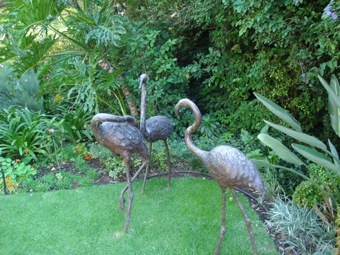 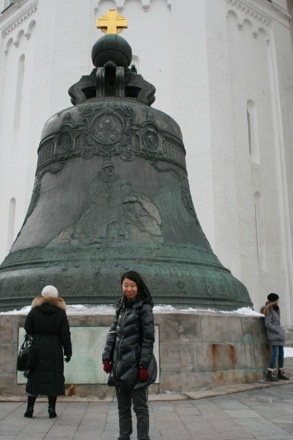 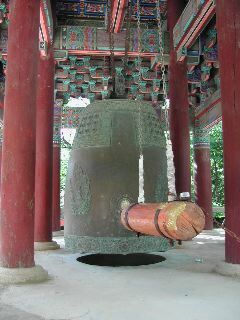 Bronze used for making bells and gongs is essentially an alloy of copper and tin. 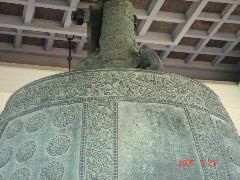 Copper containing about 22-24 wt% of tin is often known as bell metal because it has a pleasing sound quality when struck. 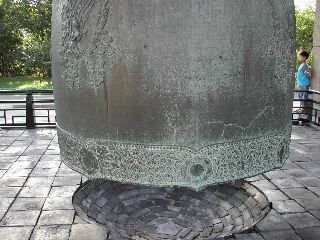 The chemical composition results in a two-phase microstructure of α (a solid solution of tin in copper, face-centred cubic) and a β (body-centred cubic solid solution of Cu and Sn), when cooled rapidly from 600°C. 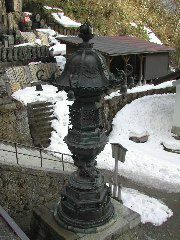 Slower cooling can result in the precipitation of an embrittling δ phase of composition Cu41Sn11. 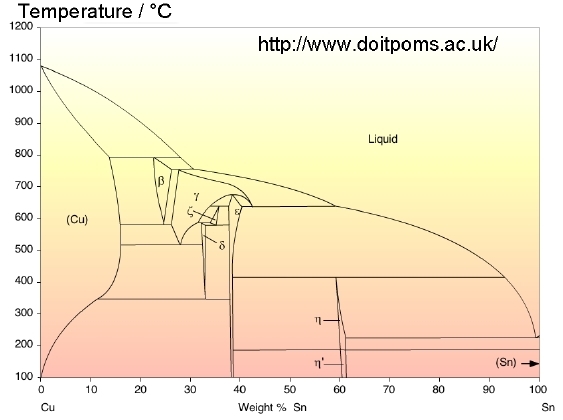 This is illustrated in the phase diagram below. 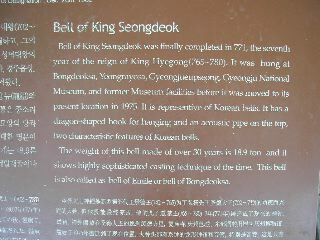 The first set of photographs below are taken in South Korea, to illustrate the bell of King Seongdeok, now located at the Gyeongu Museum near Pohang. 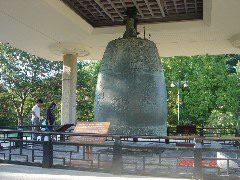 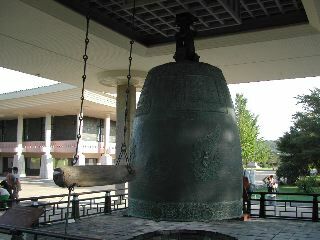 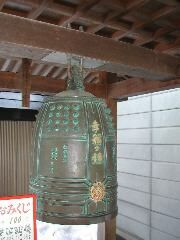 The bell took about 30 years to achieve. 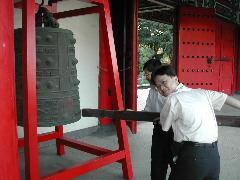 The first casting failed. 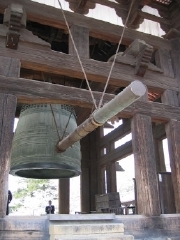 The second did not give the right sound. 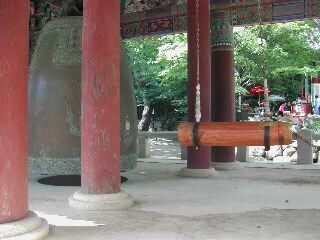 A monk then proclaimed that a baby needed to be sacrificed to the melt. 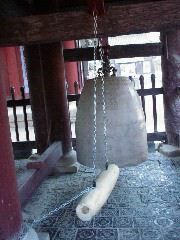 The third bell (illustrated) was made in this way. 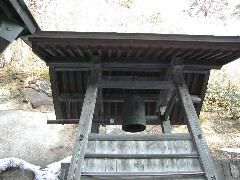 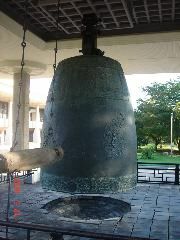 When the bell is struck, its sound at a distance is that of a baby crying for its mother. 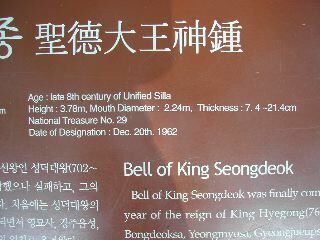 The veracity of this story is not established. 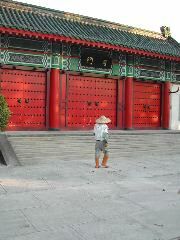 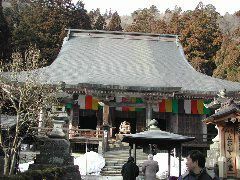 The temple was built about 40 years ago. 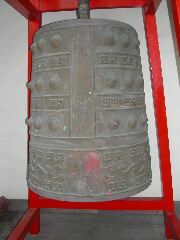 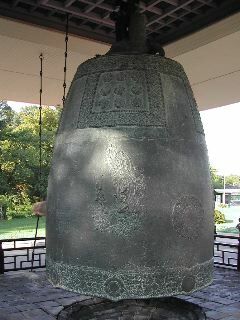 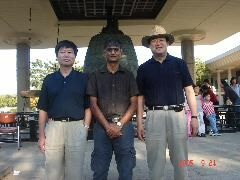 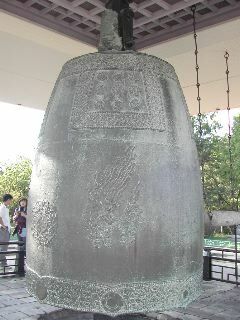 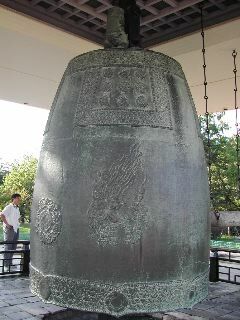 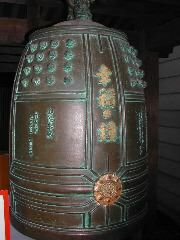 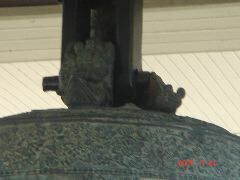 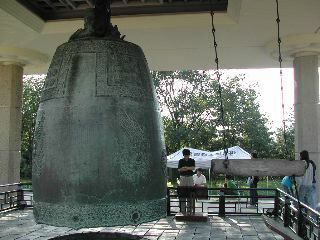 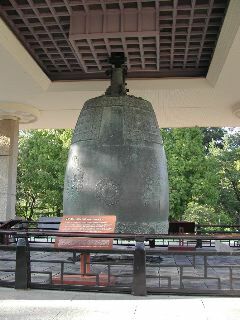 Bronze bell at the Confucious Temple, Kaohsiung. 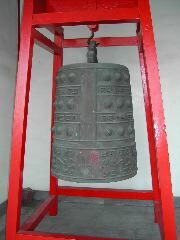 The mark in reddish colour is where the bell in struck. 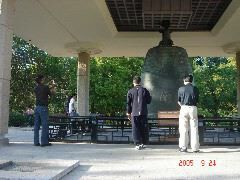 A demonstration by Professor J. R. Yang and Daniel-Ming Tsai on how the bell is struck. 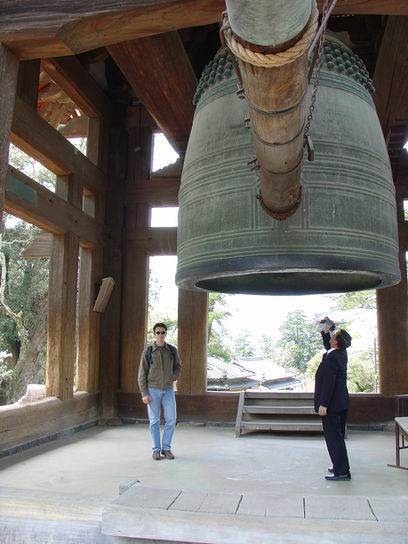 Photographs courtesy of Thomas Sourmail. 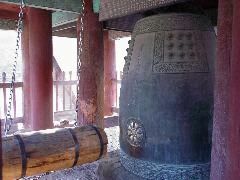 The T'ongdosa Temple is one of the three famous Bhuddist temples in South Korea. 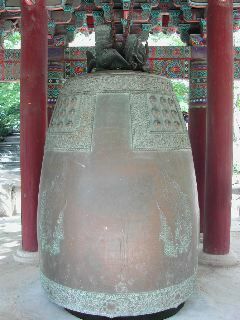 Some of the remains of Buddha are located there. 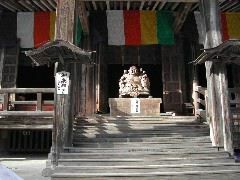 Yamadera, a Bhuddist temple. 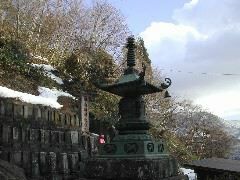 Yama stands for 'mountain' and 'dera' for temple. 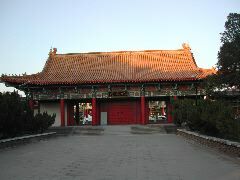 The sanctuary has some 40 buildings on the mountain. 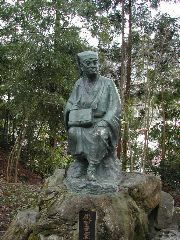 Bronze statue of a student of a famous poet who travelled Japan and wrote about it. 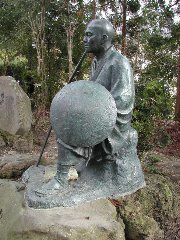 Bronze statue of the famous poet who travelled Japan and wrote about it. 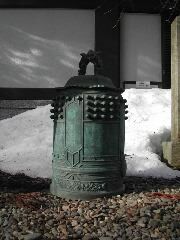 Bronze at the Yamadera Bhuddist temple, Japan. 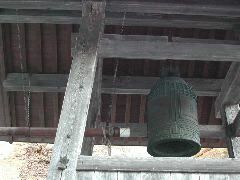 This is at the summit of the mountain. 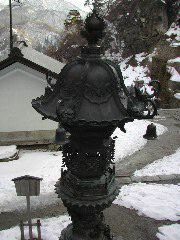 Bronze at the Yamadera Bhuddist temple, Japan. 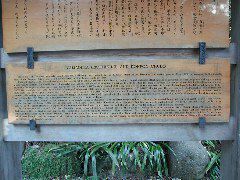 On the 26th of April 2007 it will be 70 years since the small Spanish town of Guernica was blitzed by German and Italian bombers in support of General Franco during the Spanish civil war. 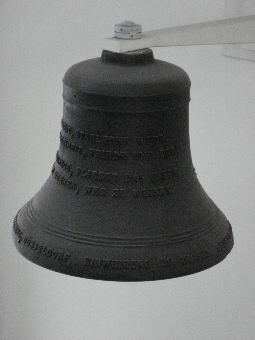 Picasso's painting of the same name was, according to his wishes, returned to Spain only after it became a Democracy. 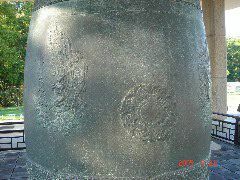 These photographs are of a bronze casting of Picasso's classic, made at CENIM (Centro Nacional de Investigaciones Metalurgicas) in Madrid, as a present for Harry Bhadeshia from Carlos Garcia de Andres. 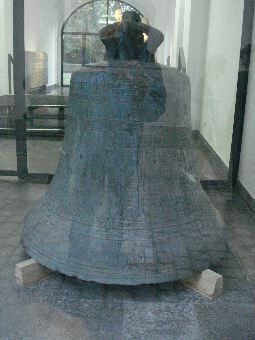 Shortly after Spain became a democracy, a small section of the army occupied parliament, but King Juan Carlos went on national television in his military attire, and ordered the army to remain in barracks. 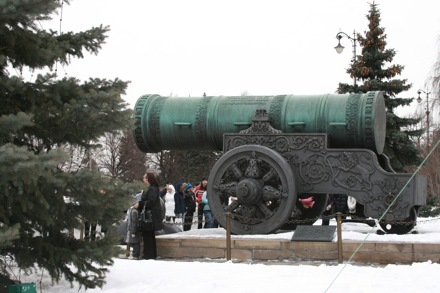 The coup attempt collapsed. 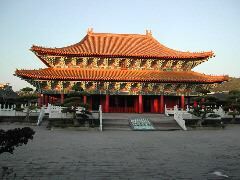 For single-handedly saving the fledgling democracy in Spain, King Juan Carlos was awarded the highest honour of Cambridge University, an honorary degree. 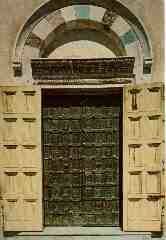 Bronze door in Ravello, which is a town and commune situated above the Amalfi Coast in the province of Salerno, Campania, Italy. 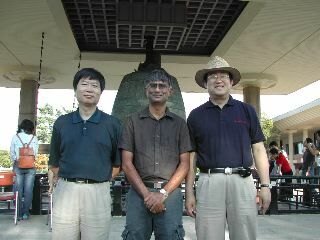 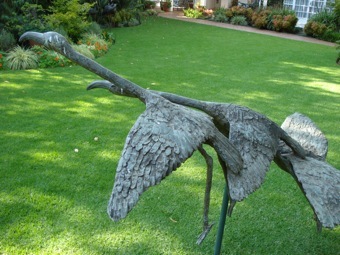 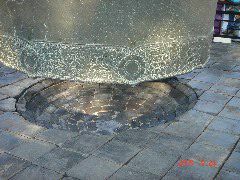 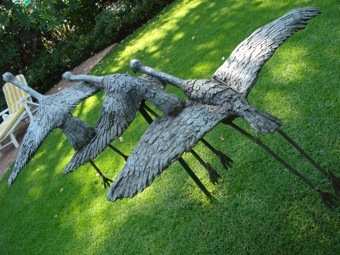 Photograph courtesy of Professor John Knott. 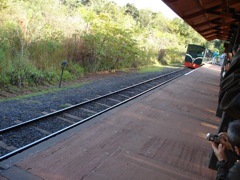 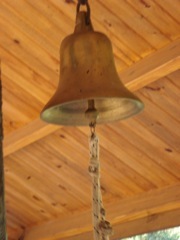 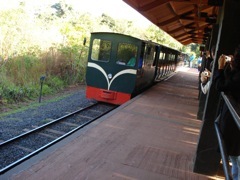 Bronze bell in the railway station in Iguazu, on the border between Argentina and Brazil, within a sub-tropical forest.